A hundred years ago today, a young man stood surrounded by friends on a railway platform in Shanghai. Song Jiaoren was heading to Beijing to form a new government. He was to lead the largest electoral block in the new national Assembly. Song never made it. Shortly before 11 o’clock on the night of March 20th 1913, an assassin slipped behind him and fired two shots at close range. 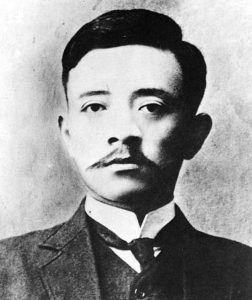 Two days later Song, the man who would have become the first democratically elected premier of China, had died in a Shanghai hospital at the age of 30. With the murder of Song, on that Shanghai platform, a last obstacle to Yuan’s bid for absolute power was cleared. Within a year Yuan was able to order that all members of Song’s Kuomintang be expelled from the national assembly. The following spring a new assembly, packed with delegates who would bend to Yuan’s will, approved a constitutional compact giving Yuan virtually unlimited powers. Whether the republic would have survived were it not for Song’s assassination and Yuan’s feverish grasping is a difficult question. Song might no amount to much resistance in a national assembly controlled by Yuan’s henchmen. After all party politics was still in its infancy stage at China at that time. The tumultuous events of 1913 have since become strong evidence for the historians who argue that electoral democracy is somehow incompatible with the Chinese experience.